The reason behind rice price hike in market is hoarding of the staple item by unscrupulous millers and traders over the last few months. 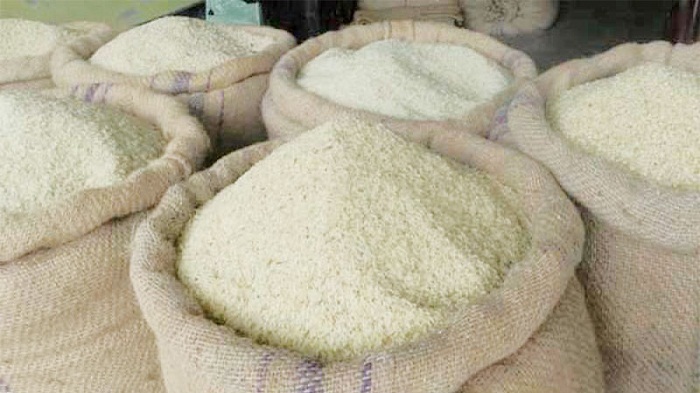 Some unscrupulous traders are increasing rice price through syndicate as they know the government do not have adequate stock of the staple item, said Humayun Kabir Bhuiyan, secretary of the Consumers' Association of Bangladesh (CAB), on Sunday. “There is enough rice stock in the country and supply of rice to market is adequate but the traders are increasing rice price indiscriminately,” said the CAB secretary. Flood and excessive rainfall have reduced rice production so the government could not procure enough rice this year. But there is no shortage of rice, he assured. Prices of all varieties of rice have gone up despite different government initiatives, triggering worries for the common people both in urban and rural areas. Nexus between millers, importers and hoarders are seen as responsible for the recent hike of rice price, though the government has lifted duty on rice import. The government decision to reduce tariff on rice imports by 26 percent has failed to calm the rice market. Rice price is increasing across the country every day. Prices of most rice verities have increased by Tk 2 to Tk 4 per kg in the capital’s retail markets since Friday. While visiting different kitchen markets in the capital on Sunday, this correspondent saw coarse variety rice was selling at Tk 52-54 per kg, fine quality Miniket and Najirshail were selling at between Tk 60 and Tk 70 while medium quality Brridhan-28, Paijam, Lota and Parija were retailing at between Tk 58 and Tk 62. On Friday, coarse variety rice was selling at Tk 50-52 per kg, fine quality Miniket and Najirshail were selling at Tk 58-65 while medium quality Brridhan-28, Paijam, Lota and Parija were retailing at between Tk 55 to Tk 56. Price of coarse rice has marked a rise by 50.72 percent compared to last year’s rate while the hike was 18.18 percent in the last 30 days (Aug 17-Sep 17), according to the data of Trading Corporation of Bangladesh (TCB). Coarse variety rice was selling at Tk 50-54 per kg in the market on Saturday against Tk 48-50 per kg on Friday, according to TCB. Prices of medium quality rice have increased by 35.29 percent compared to last year’s rate, while the price hike was 18.56 percent in the last 30 days (Aug 17 to Sep 17). Rice of this variety was selling at Tk 55-60 per kg on Sunday against Tk 52-56 per kg on Friday in the market, according to TCB. Its price was Tk 40-45 on the same day last year while the rate was Tk 47-50 on August 17 this year, it said. Prices of fine quality rice have shot up by 30 percent compared to last year’s rate while the rise was 16.07 percent in the last 30 days (Aug 17-Sep 17). Fine quality rice was selling at Tk 62-68 per kg on Sunday while it was Tk 60-66 per kg on Friday. The fine rice price was Tk 45-55 on the same day last year but it was Tk 52-60 on August 17 this year, according to TCB. The government also increased the OMS rice price to Tk 30 per kg at retailers ends from Tk 15 while the warehouse price has increased to Tk 28.50 from Tk 13.50. A directive from Director General of Food Md Badrul Hasan said the new rate will be followed from September 17. At least 20 lakh metric tonnes of boro crops have been lost by floods but the country has produced 1 crore 70 lakh metric tonnes of rice in Boro season this year. In Aus season, 22 lakh metric tonnes of rice have been produced against the target of 23 lakh metric tonnes. Some 6 lakh metric tonnes of rice have been imported from India under private arrangement recently. The government has imported 2.5 lakh metric tonnes of rice from Vietnam, of which 1.54 lakh metric tonnes have been unloaded and process of importing 2.5 lakh metric tonnes from Cambodia is underway.